Wind kills. The most casualties from an asteroid impact won’t come from the impact itself. The wind, pressure and heat caused by the crash are far more dangerous, no matter where the asteroid hits. Clemens Rumpf at the University of Southampton, UK, and his colleagues have calculated the mortality risk, should an asteroid hit a residential area. They considered asteroids that burn up completely, those that hit the ground, and those that strike in water. Surprisingly, the airborne side effects were the ones that cost the most lives. As an asteroid hurtles towards the ground, it deposits a huge amount of energy into the atmosphere, resulting in a powerful shockwave, tornado-like winds and a plume of fire trailing behind it. When it crashes down, it forms a crater, shaking the ground around the impact and hurling debris into the air. If the asteroid hits water (which is twice as likely as hitting land), it would create a tsunami, with waves reaching dozens of metres high. The farther from shore the impact is, the deeper the water and the taller the waves. In the past, people have shown that tsunamis posed the greatest risks from an asteroid impact, but the events are notoriously difficult to model. Rumpf and his colleagues have worked out that the continental shelf helps protect the shore by dissipating waves both at its steep edge and over its gentle beachward slope. “What sets tsunamis apart is that they’re really the most far-reaching effect of all the impact effects,” says Rumpf. A pressure wave or heat plume can’t travel very far, and craters only form right at the impact site, but tsunamis can traverse hundreds of kilometres of ocean to hit coastal communities. A tsunami caused by the impact of a 200-metre-wide asteroid 130 kilometres off the coast of Rio de Janeiro, for example, could cause more than 50,000 deaths, with 75 per cent of those being directly caused by the tsunami and the rest due to high winds. But an asteroid over or in a city would kill millions. Most of those deaths would be due to wind as well, even if the asteroid did crash to the ground instead of exploding in the air. For an airburst, about 15 per cent of casualties would come from heat. In a direct impact, the effects of gusting wind and surging temperatures are joined by pressure waves, which can rupture internal organs. Only about 3 per cent of casualties would be caused by the actual impact or the earthquakes and debris that result, says the team. The group plans to discuss the results with disaster managers to come up with suggestions for preparedness. Luckily, large asteroids don’t hit Earth often: an impact by a 200-metre asteroid is expected only once every 40,000 years. And an asteroid could fall anywhere, and most of the planet’s surface is unpopulated. 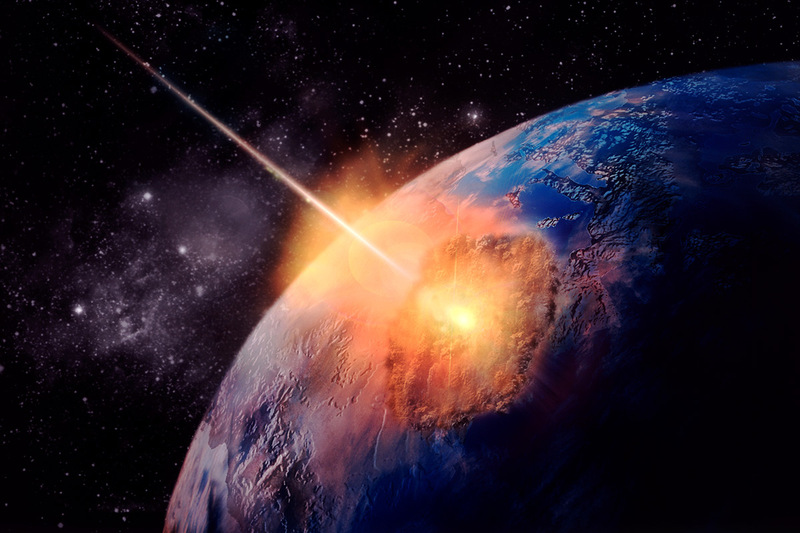 In case you are starting to worry, there are lots of projects dedicated to planetary defence against asteroids: telescopes have spotted most of the big ones, and there are several potential ways to avoid an asteroid impact if we see it coming. “We are in the business of detecting asteroids well in advance of an impact, so this kind of work is only really important if we totally fail to do our jobs,” says Erik Christensen, director of the Catalina Sky Survey at the University of Arizona.